The corn leaves are tied back and the corn is de-tasseled. The corn on the cob is grilled on an open wood fire until charred. 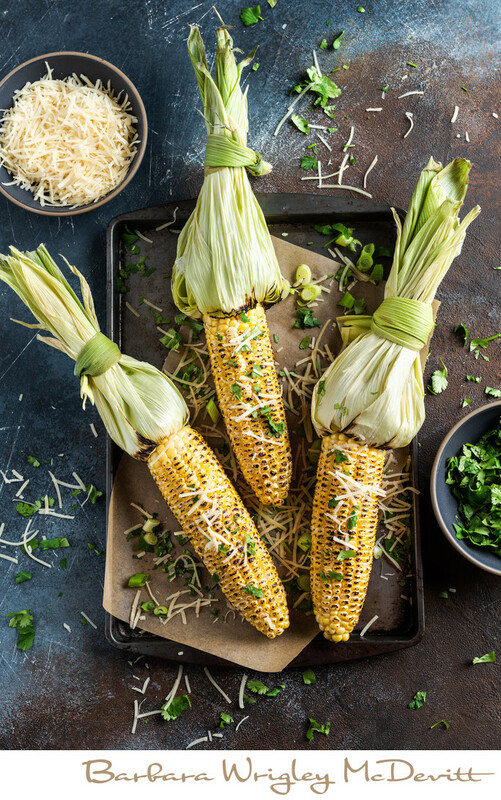 The corn is then topped with butter, Parmesan cheese and cilantro. Served as is with the leaves on the corn for presentation purposes. Photographed with artificial Profoto B-1 lights, white XL umbrella, white form core board for fill.